Firstly our apologies that this wasn't posted on Friday as we had intended but we'd forgotten we were going to the Mid Hants Railway Summer Gala! Despite being ridiculously hot it was excellent with a great display of Southern steam and we had a fascinating tour of the works. 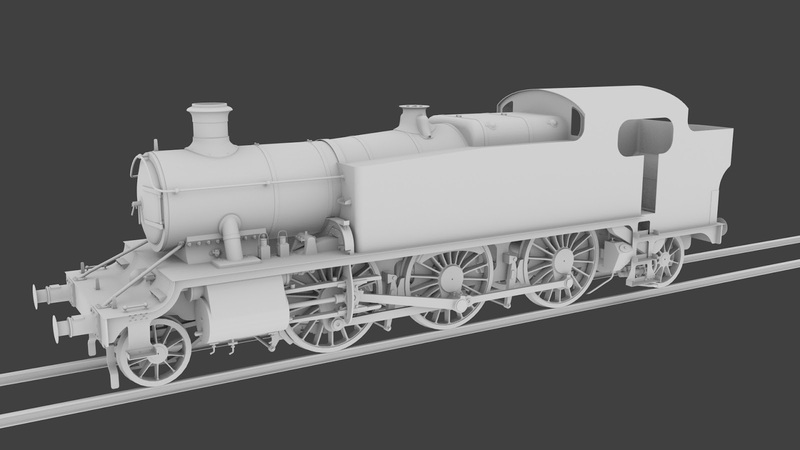 Below are the first work in progress renders of the Large Prairie model - this is the curved frame version that can be used for the 5101, 6100 and 8100 classes but we'll also be making the earlier 3100 (later renumbered 5100) class with the square frame. As always we start with the wheels. These are 5'8" but we'll also need 5'6" versions for the 8100 class. The 8100 also has much smaller pony truck wheels - 3' instead of 3'8" which gives it a rather odd appearance at the rear. 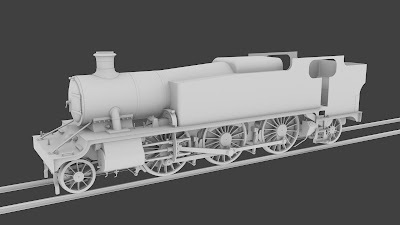 The body starts to take shape. 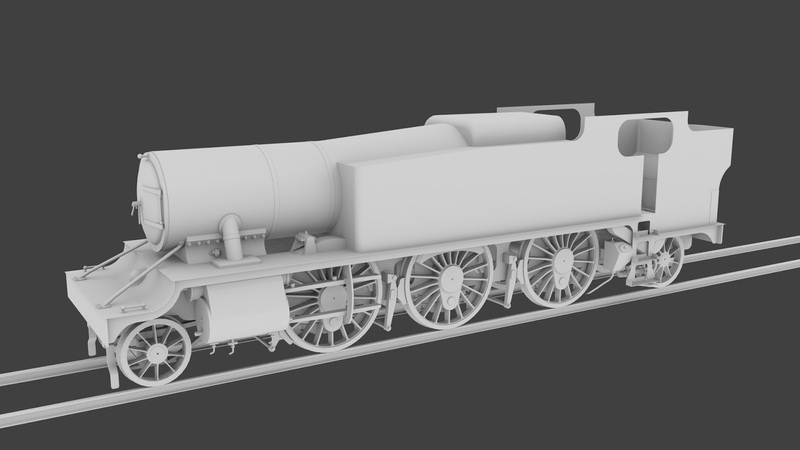 Then we begin to add some details such as pipes, sanders and the smokebox door. The wheel rods are put in place (and carefully animated! 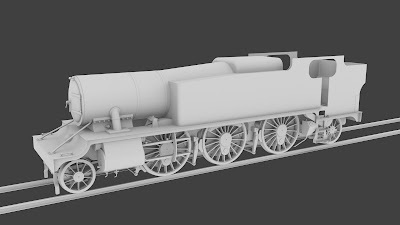 ), the curved frame version of the boiler support is added and a chimney on the top and it starts to look like it might eventually go somewhere. Looks like she's coming along well! Can't wait for the finished product. 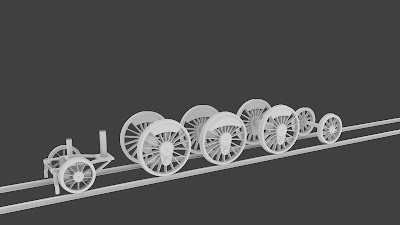 I don't know if your still accepting suggestions on rolling stock for this pack but if so maybe a Macaw Flatbed or the Siphon J could be used?